All I Want Is You !! It’s an innate human element. Every person has desires about something. You can determine what those desires are typically by where a person spends their time and money. People can say they desire a variety of things or be more focused. Desires are unique. Even if people are wildly passionate about the same types of things, it’s never really the same. It’s something we want employees to have every day when they come to work. 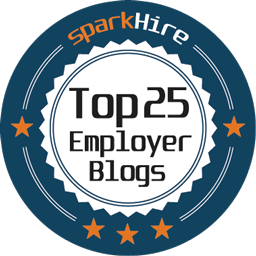 There are countless articles, blogs and efforts about employee engagement. When I see these I think more and more of the effort is on getting “buy-in” as to what a Company offers instead of allowing people to bring their desires to the workplace. We aren’t very comfortable with really allowing people to be who they are. HR spends an incredible amount of its time and focus on limiting behavior and adding stipulations to systems to make sure people comply and fit in. In fact, most managers talk with the majority of their employees only when needed. That includes sitting down for performance reviews, weekly meetings, etc. More and more of our structures force interactions, but they don’t develop communication or bring out the best in our people. Think about it. A workplace that is filled with people who can discuss and share their lives. I don’t think this should be a forced effort in the least. However, HR struggles with this too. I’m not sure why we all have relationships, friendships and interactions rather naturally as a social norm, but we don’t try to foster that in the workplace. I think that if we took the time to not just “talk” with people, but just treat them like the desirous, passionate humans they are, we’d enjoy each other so much more !! I want to encourage you to take a “U2” approach to this. You have to know that I’m a fierce U2 fan and love all of their work. You could say that following them is one of my desires. One of their fab songs is “All I Want is You.” The song lists many things that someone wants, but the signer responds that all they want is that person. It really is a consuming approach to have the feeling that someone wants you that completely. I know this is a big step. I also know that it works !! I try to take more and more of my time with my co-workers and find out what drives them. I may not share their same interests, but knowing what they are passionate about is fabulous. It allows me to have more of a connection with them as well as something to check in on when we see each other. It’s very enriching and it makes HR wonderful. You see in the end – I hope our desire is people. It is a beautifully written article. The best approach to people, relationships and a happy work culture! Usually, desire leads to possession, which in its turn leads to suffocating that person you’re so carefully tried to know and be close to. Making friends at work is perfect, as long as one doesn’t choke another with questions and especially issues. An HR should be focused on the human side of things as much as he can, but perhaps everything must be done within limits, because the reason that brings all those people together is a place that needs you to become better at your work. Previous Previous post: I Love to Laugh ! !